Through the generosity of RBAET this activity has been made available free of charge to eligible schools, sixth forms and colleges offering A Level law or business studies and with 30% or more of pupils eligible for free school meals. For more information on the Rolls Building session please contact education@nationaljusticemuseum.org.uk or call a member of the learning team on 0207 947 7047. National Justice Museum inspires people of all ages to become active citizens through fun and engaging activities, exhibitions and educational programmes. National Justice Museum Education helps students to gain a practical understanding of the law and justice system, so they are inspired by their rights and responsibilities, to play an active role in society. The headquarters of the charity are at the National Justice Museum in Nottingham, an independent museum relating to crime and punishment. 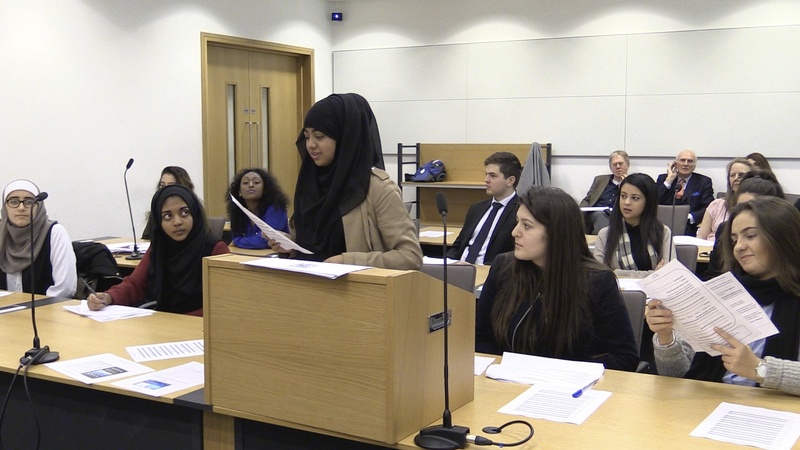 The charity aims to educate young people about the law, how to live within it and how they can aspire to pursue a career within the law. National Justice Museum Education encourages participants to ‘learn by doing’ using real buildings, exploring real objects and meeting people who carry out roles within the Justice System. They deliver education programmes in courtrooms in Nottingham (National Justice Museum), London (Royal Courts of Justice and the Rolls Building) and across the North West. Each year National Justice Museum Education works with over 20,000 young people. 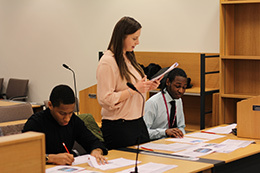 NCCL were originally introduced to the Royal Courts of Justice (RCJ) by the Ministry of Justice who had recognised a need for Public Legal Education for children and commissioned a feasibility study to assess how a centre for citizenship and the law could be created in London using a working courtroom. This led to an agreement with both the RCJ and the Supreme Court to allow NCCL to deliver legal education to schools and colleges using their prestigious court rooms. In April 2017, NCCL became National Justice Museum Education and now delivers an educational programme at the Royal Courts of Justice on a daily basis and are grateful to all partners and funders who have helped to support and develop the Courts of Justice programme. 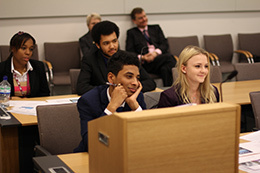 The RBAET’s educational programme was launched on 23 January 2014 when a group of 12 A level students from the Harris Academy, Bromley, visited the Rolls Building. 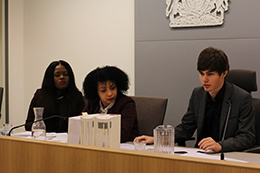 Following a brief tour of the building they enacted an Intellectual Property case in one of the courtrooms with the pupils split into three groups – Judges, Claimants and Defendants. The programme was developed by NCCL (now National Justice Museum Education) in close liaison with Mr Justice Birss and Mrs Justice Asplin. 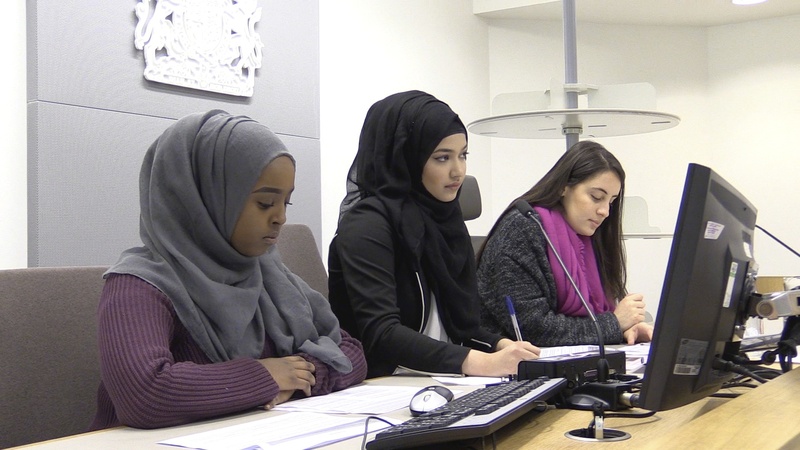 The students had the opportunity to discuss the case and their findings with the two judges and to speak with them generally about the role of a High Court judge and opportunities for pursuing a career in the law. Prior to developing the programme resources a small feasibility study was carried out with schools and colleges to understand what areas of their exam syllabus they would expect the activity to cover. The evaluation returns completed by the students and their accompanying teacher were very positive and demonstrated that the aims of the programme had been met. The programme has been further developed in the light of the pilot and arrangements put in hand to recruit other schools to participate in the programme. The RBAET and National Justice Museum Education have now established a formal educational programme at the Rolls Building.